Port Size: 1.38" x 2.28"
Does Fel-Pro 1207 fit your vehicle? 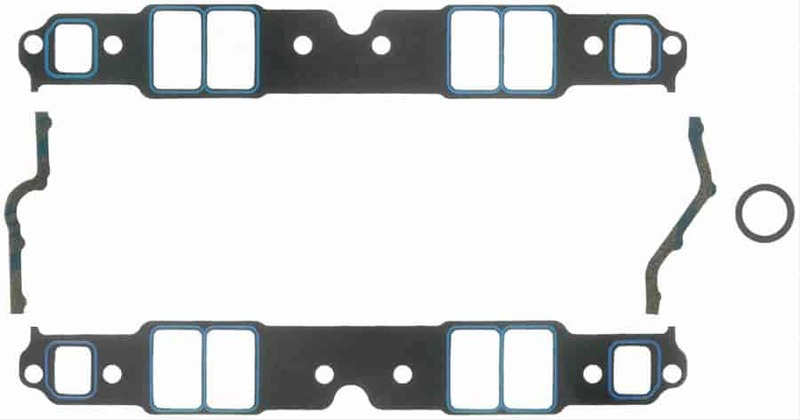 1207 - Fel-Pro Intake Manifold Gaskets is rated 5.0 out of 5 by 2. Rated 5 out of 5 by 57maddman from Fit is perfect All I use is Fel Pro. I have used this part number many times works Great !! Rated 5 out of 5 by Tim Arthur from a great product from a great supplier i recently purchased a set of Fel-Pro 1207 intake gaskets from Jegs. i would not use any other intake gasket on my 436 ci. s.b.c.